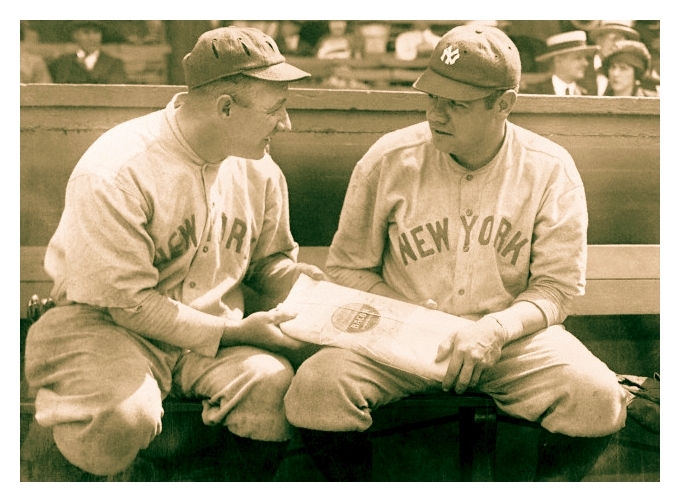 • Major find here: Yankees outfielder Ping Bodie wearing what appears to be a vented cap in 1920. I was curious, so I looked for more photos of him and found this. I guess he didn’t want to overheat! 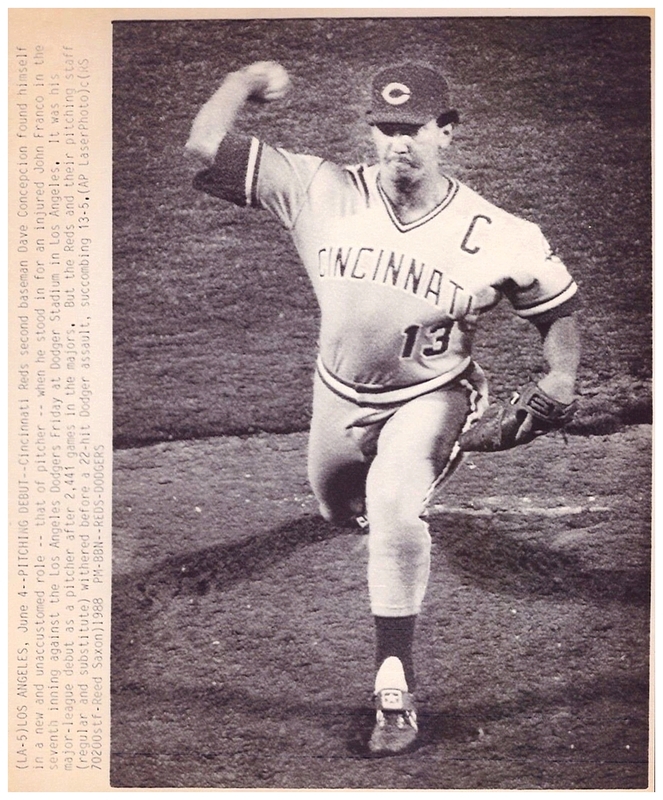 • Here’s a rare sight: Davey Concepcion, and his captain’s “C,” pitching. 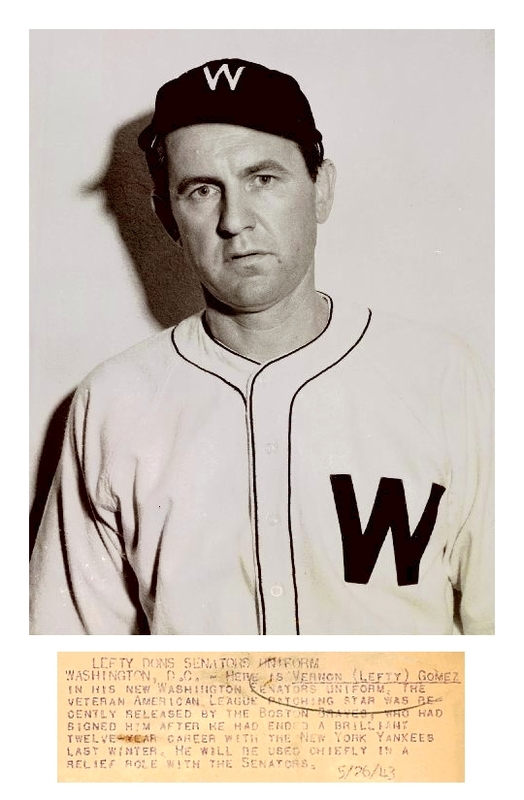 • Just as rare: Lefty Gomez in a Washington Senators uni. He pitched one game for them in 1943. • Two interesting things in this 1974 shot: The Braves’ wives wore pullover jerseys and shorts for a pregame softball contest, and pitcher Danny Frisella’s 15-month-old son tried to get into the action in his birthday suit. 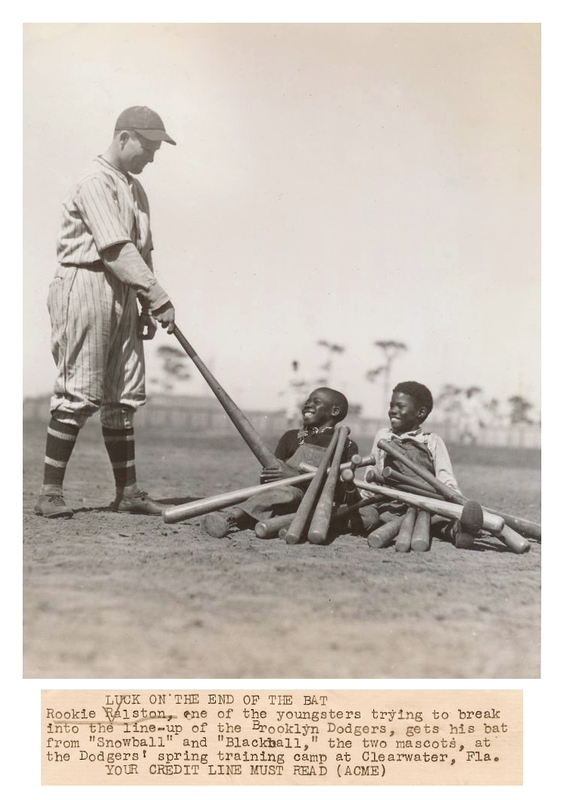 • You might know that Pumpsie Green was the first black player to play for the Red Sox. Here he is as a Minneapolis Miller. 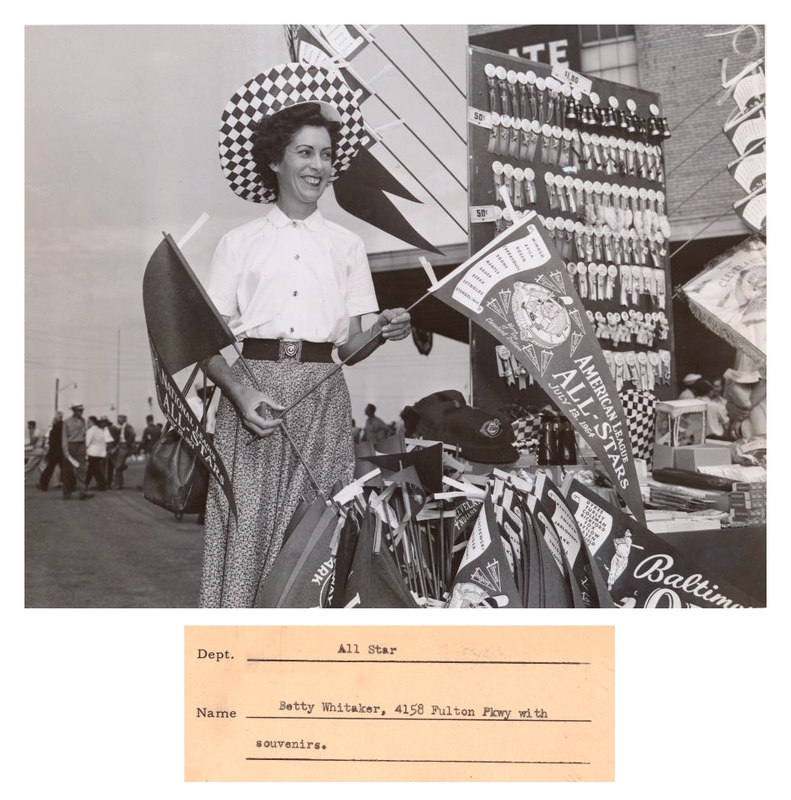 • Interesting souvenir vendor at the 1954 MLB All-Star Game. Look at all those pins with ribbons — didn’t realize those were once popular items with fans. • Sandy Koufax is probably baseball’s most famous Jewish ballplayer, so it’s funny to see him as part of a “Merry Christmas” photo. 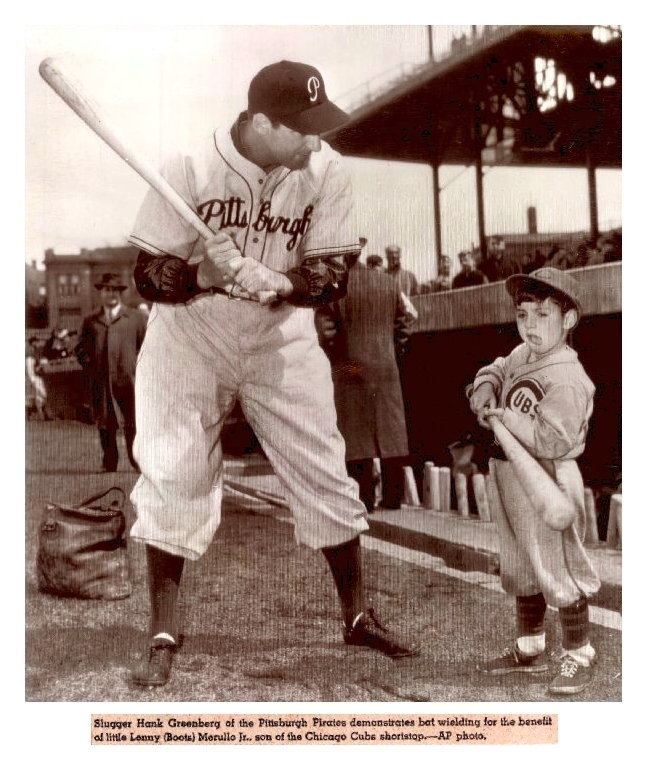 • Speaking of Jewish players, I love the juxtaposition of massive Hank Greenberg and tiny Lenny Merullo Jr. Good to see the tyke wearing the period-appropriate uni, right down to the striped stirrups! 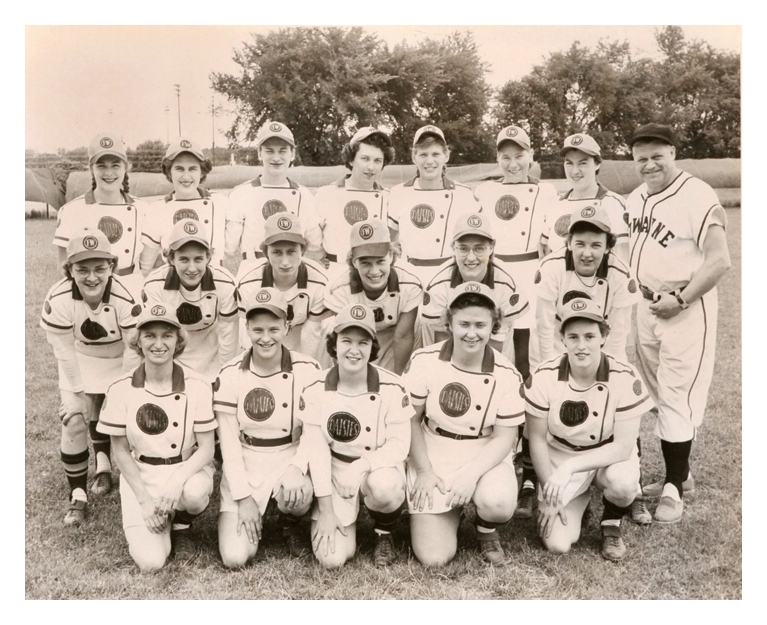 • Didn’t realize that slugger Jimmie Foxx once managed the Fort Wayne Daisies, a women’s team. Quite a difference between his uniform and theirs. 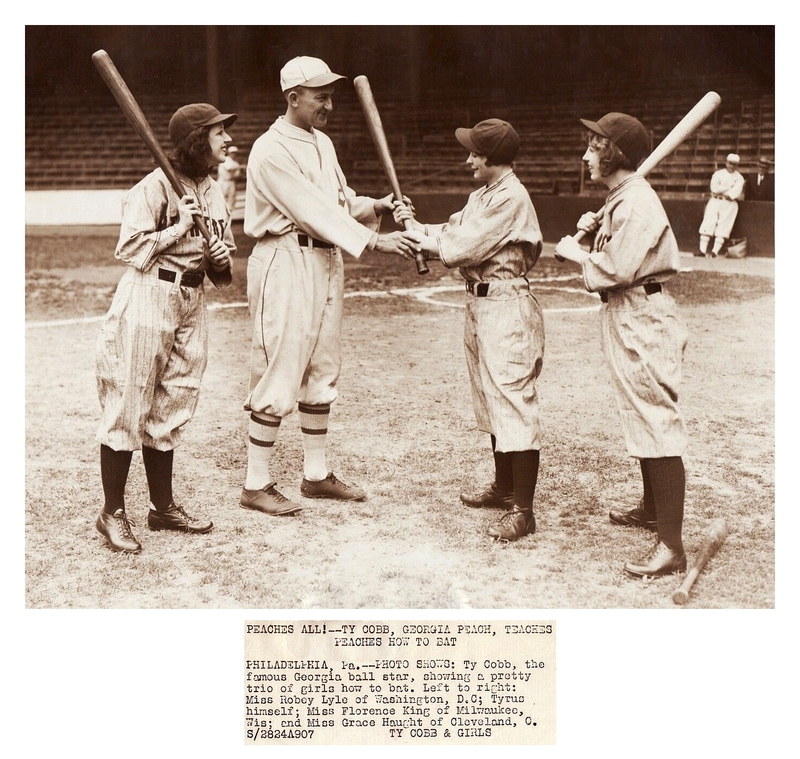 • Another Hall of Famer coaching the ladies: Ty Cobb gives batting tips to female players, but at least these women got to wear pants. 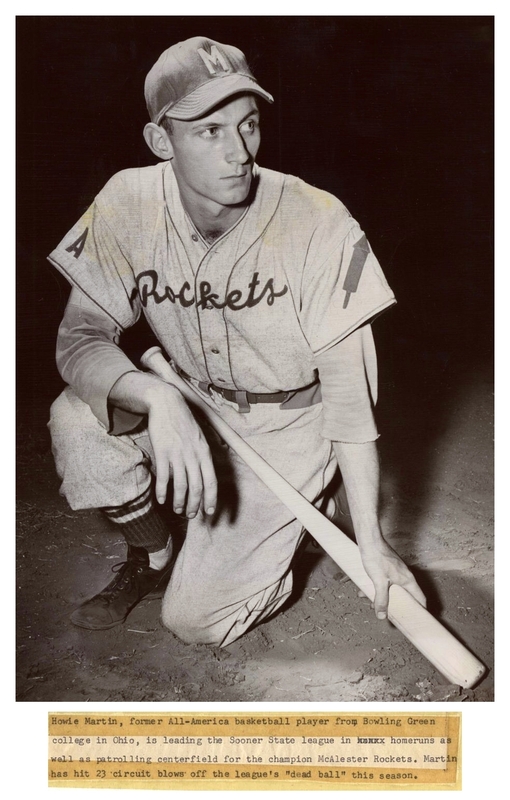 • Love the fireworks sleeve patch on this 1948 McAlester Rockets uniform. 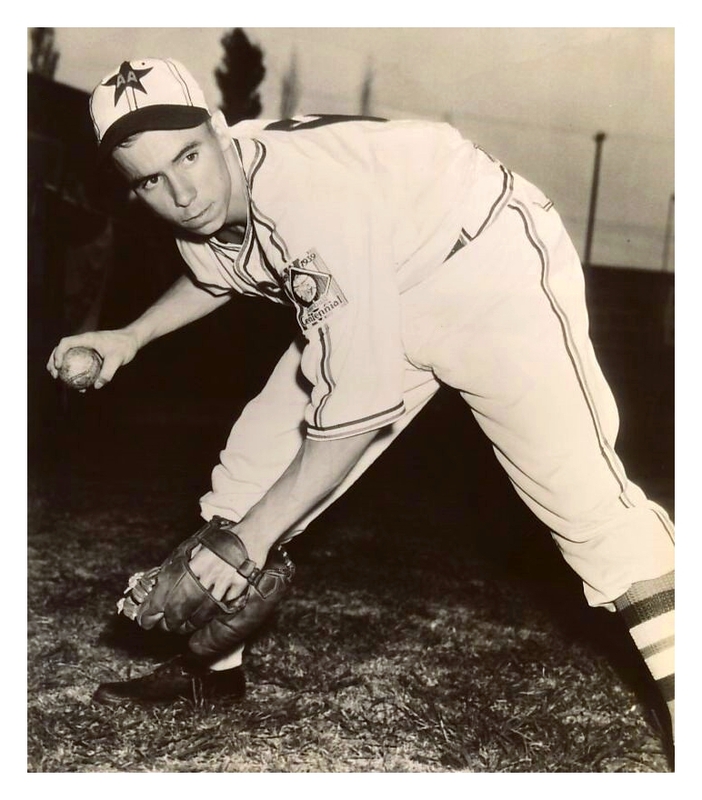 • Check out Pee Wee Reese wearing a 1939 American Association all-star cap. Wish we could see the jersey. 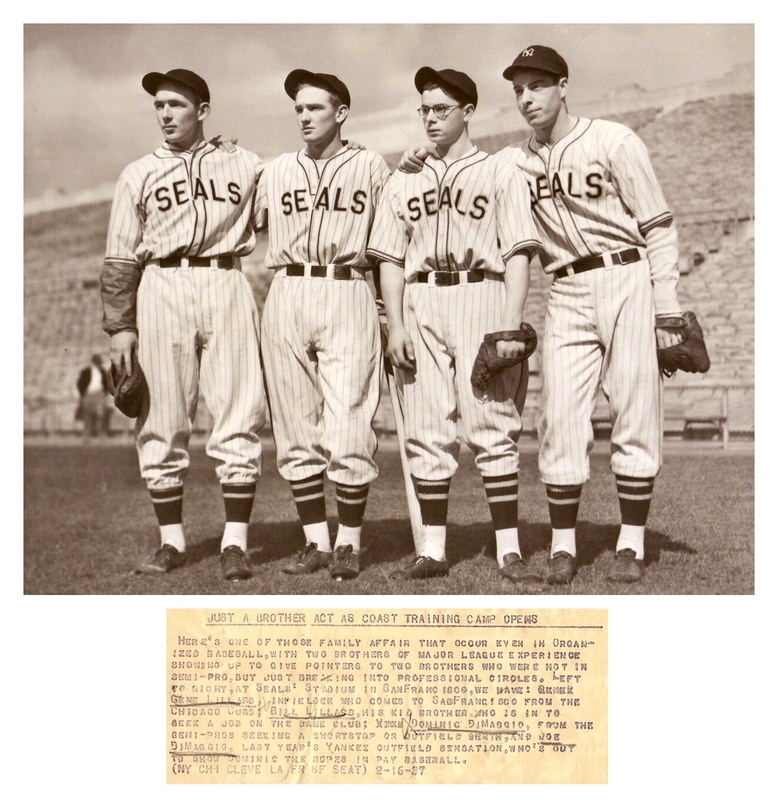 • The 1937 San Francisco Seals had two sets of brothers — a pair of Lillards and a pair of DiMaggios. 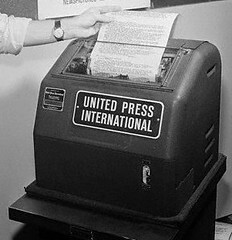 No NOBs back then, so they didn’t have to worry about initials. Also, note the assorted belt buckle positionings. • Oooh, here’s a beauty from the gridiron — I give you the 1936 Boston Shamrocks. Someone colorize that! 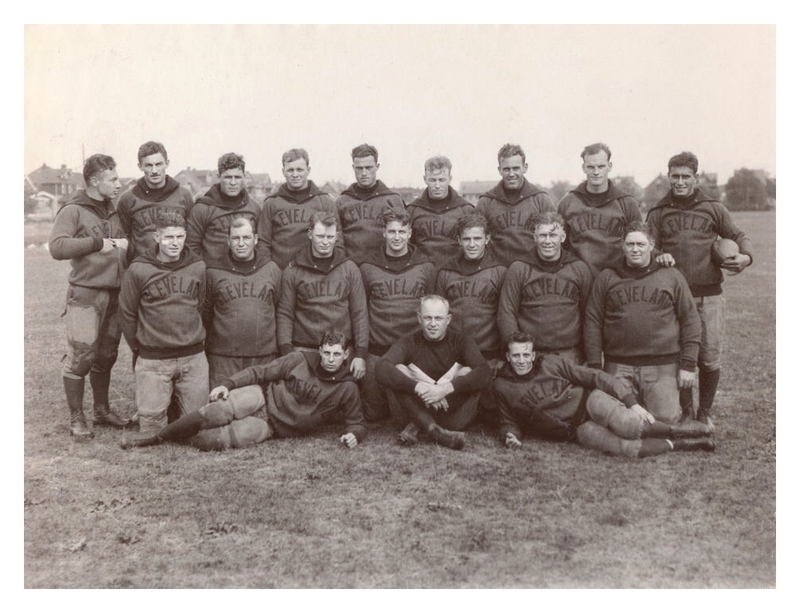 • Another great football shot, this time of the 1927 Cleveland Bulldogs. Love those sweatshirts! • House of David players had an unfair advantage for the hidden-ball trick. 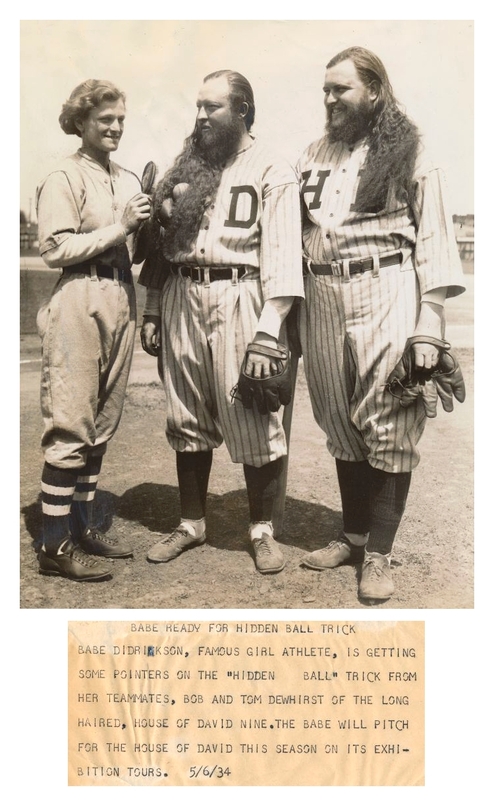 Also, very cool to see the awesome Babe Didrickson in a baseball uni! • Here’s Babe Didrickson again, this time in a track and field uni. Love the collar points. Also: Was she sock-less? • Let’s just say that this wasn’t the Brooklyn Dodgers’ proudest moment and leave it at that. • Back in April I did an entry on black MLB trainers who wore uniforms (or at least jerseys), one of whom was Waller Irvin of the Giants. 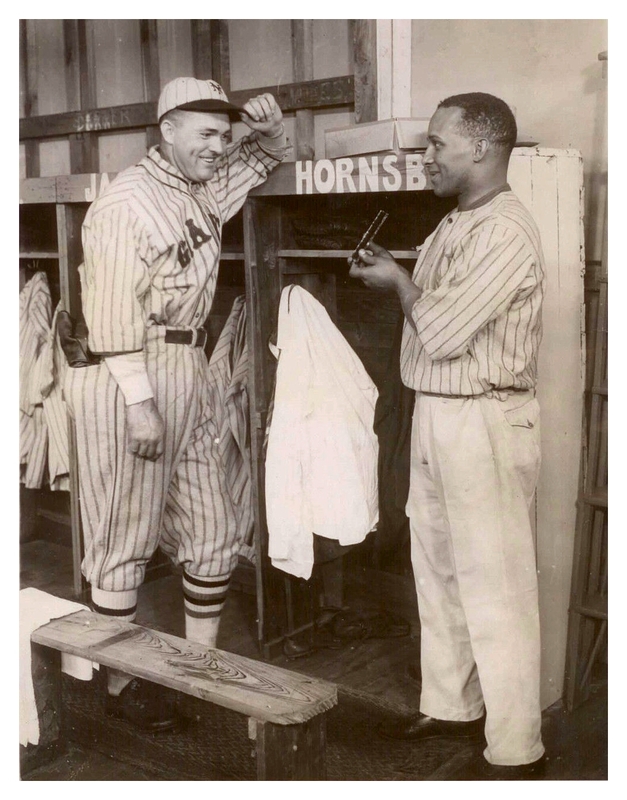 Here he is wearing a jersey in the clubhouse with Rogers Hornsby. 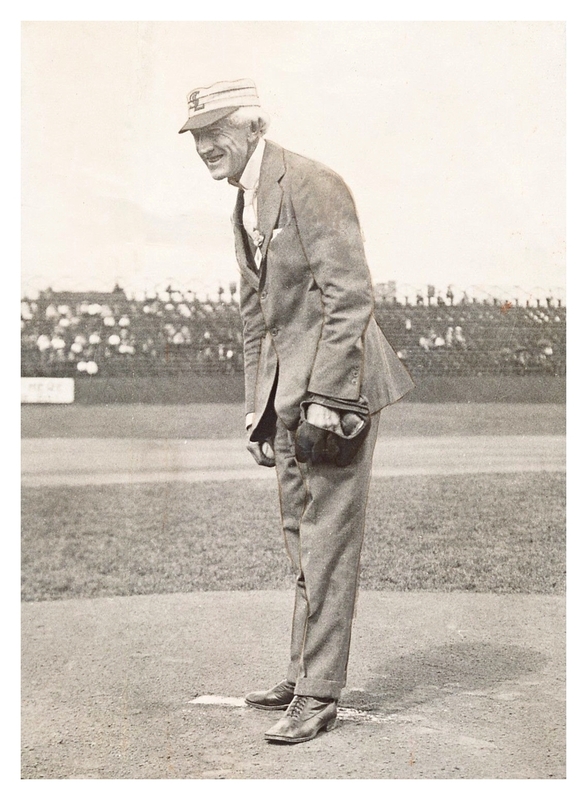 • Here’s baseball’s first commissioner, Kenesaw Mountain Landis, wearing a cap of uncertain origin. 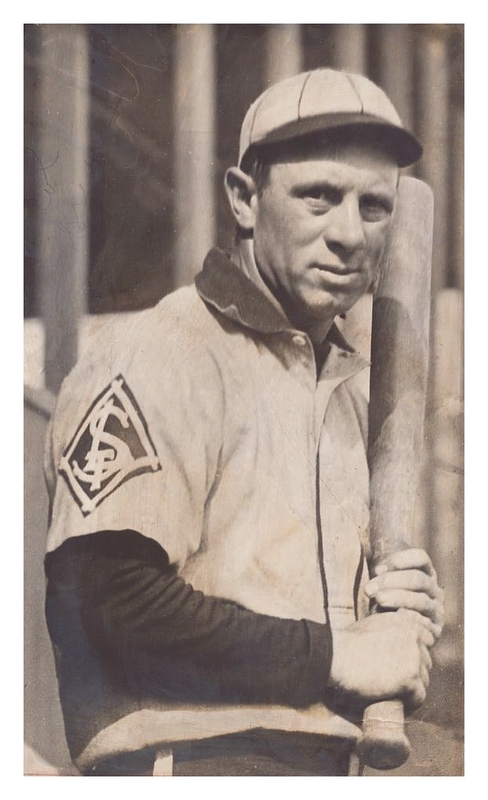 • You’ll never get a better view of the 1907 St. Louis Browns’ sleeve patch. Baseball News: According to this entry, the Cubs will be wearing a “2008 home throwback” on Sunday. That same promotion is listed here. Not sure what to make of that, since their 2008 home jersey was identical to their current one. … Speaking of the Cubs, they wore Jackie Robinson West tribute uniforms for BP yesterday. … Jonathan Nisula wonders what the Philllies’ uniforms would be like with a bit more blue. … Andrew McCutchen mistakenly wore the Pirates’ alternate cap with the road grays yesterday (from John Dankosky). ”¦ Speaking of the Pirates, catcher Russell Martin wore bogus two-in-one throwback stirrups on Sunday (from Greg Shemitz). College Football News: Here’s something I hadn’t realized: Notre Dame’s Shamrock Series uniform has gold flake in the facemask (from Adam Pavlovich). ”¦ Here’s a look at old uniforms worn by the Northwestern marching band (from Mark Graban). ”¦ Those white Michigan State helmets that have been circulating are bogus (thanks, Phil). ”¦ Utah was wearing a helmet decal for Spence Eccles’s 80th birthday last Thursday. “Eccles is a Utah alum and a major donor to the university,” explains Bob Aagard. “His name is on three buildings: the Spencer Fox Eccles Business Building, the Spence Eccles Field House (which is the football team’s practice facility), and Rice-Eccles Stadium.” ”¦ Northern Illinois has added a memorial decal for former athletic director Robert J. Brigham, who died back in May (thanks, Phil). Soccer News: All of these are from Yusuke Toyoda: Brutal number font for Valencia. ”¦ There was a rare claret vs red match-up in the Premier League, with Southampton wearing its home kit against West Ham. “The Saints’ blue away kit would have also clashed with claret, and they don’t have a third kit,” says Yusuke. ”¦ Chelsea players wore black armbands this past weekend in honor of the late Richard Attenborough, who was a lifelong supporter and one-time club director. ”¦ Schalke 04 made its player tunnel look like a coal mine as a tribute to the area’s mining heritage. ”¦ Legia Warsaw has been charged by the UEFA due to fan’s rather impressive protest banner, which followed the club’s disqualification from the Champions League playoffs for fielding an ineligible player. The 2008 Cubs throwback could be ones without names on the back. Not 100% sure though. They did that for a year or two. That was only in 2005 and ’06. The Cubs probably picked 2008 to commemorate because it’s their most recent divisional championship. It was also the year they recorded their 10,000th all-time victory. Maybe it has something to do with 1908? 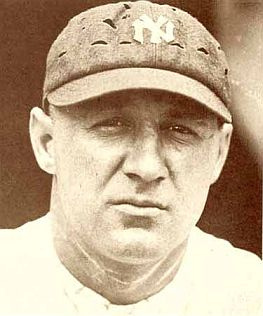 OK, so Ping Bodie wore a vented cap in 1920–that’s interesting. But why is he handing the other Yankee (who appears to be the Babe) a wrapped slab of bacon? 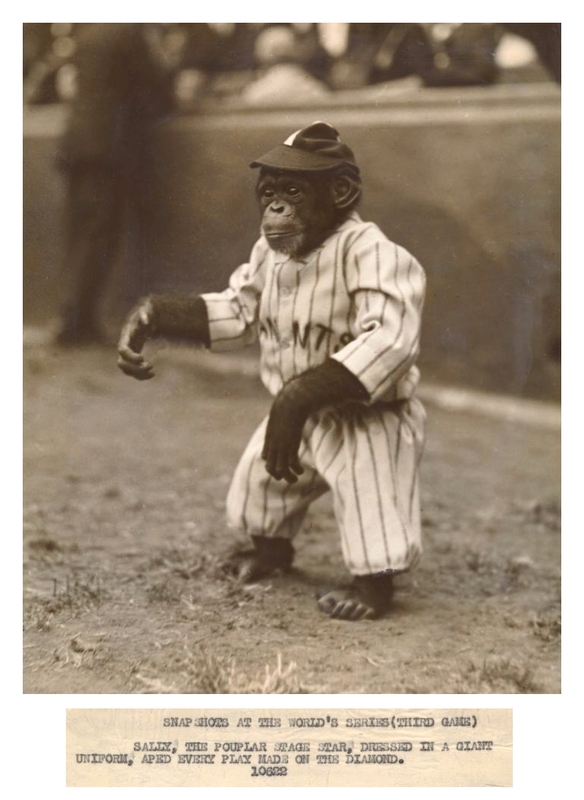 I’m guessing it’s some promo shot for something, but honestly, it’s Babe Ruth, bacon seems to make sense. 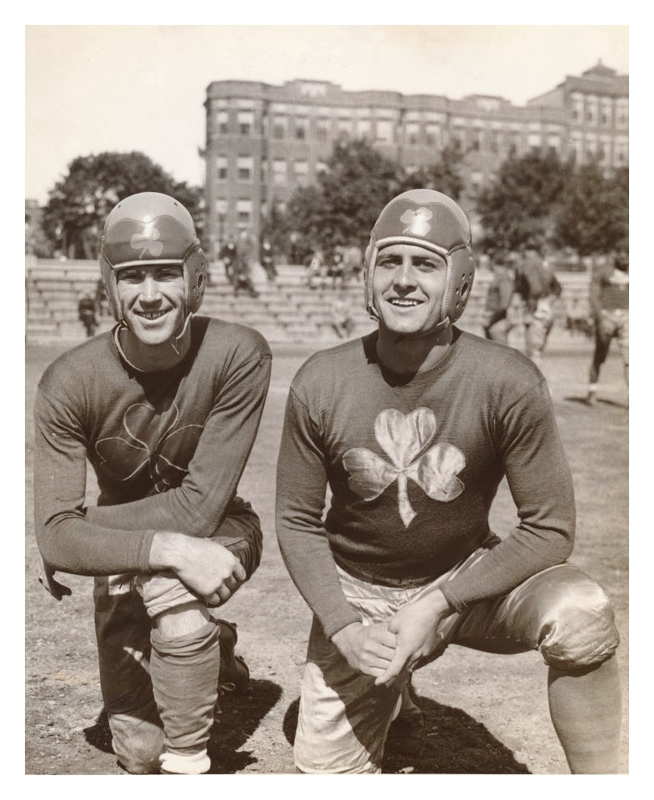 Looking at the old Boston Shamrocks picture, aren’t the two shamrocks on the jersey front different for each player? One looks gold and shines and the other looks like an outline. No. I think it’s just different angles. Yellow/gold is notorious for apparent changes of brightness. No, that guy definitely has an outline, not a satin crest. I’ve seen satin play with the light in really strange ways. Both mean do clearly have thick stitching around the shamrock, but I’m not willing to say the one on the left doesn’t have the actual satin logo. Nope. Both have stitched outline. Just different lighting. I’m pretty sure they’re identical, even though I do understand where you’re coming from. My first impression was outline as well, but after zooming in on the picture, I’d say it was just a trick of the light and the particular angles involved. It’s an extremely common misconception. The Rams were the first NFL team to use a helmet logo, but not the first team overall. The Shamrocks weren’t in the NFL. I’ve also seen images of a few college teams with front helmet logos similar to the Shamrocks from the same time period. 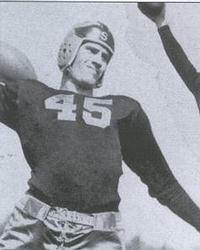 Here’s Michigan State in 1933 – http://www.helmethut.com/College/MichState/1933-1946%20helmet.jpg – note the block S on the front. And don’t forget the University of Chicago, which painted their wishbone-C logo on the tops of their helmets around the same time. Seems there was a brief fad in the early-to-mid 1930s, which was then permanently picked up by the Rams ten years later and spread through the pro game. Yep, I saw that the Shamrocks were in an earlier AFL. Wikipedia claims the Rams were the first American pro team to use a helmet logo. Not exactly a surprise that a Wikipedia article contains a mistake. But more to your point, what I recall from my youth regarding the Rams was indeed NFL-centric. Great wire service photos today. 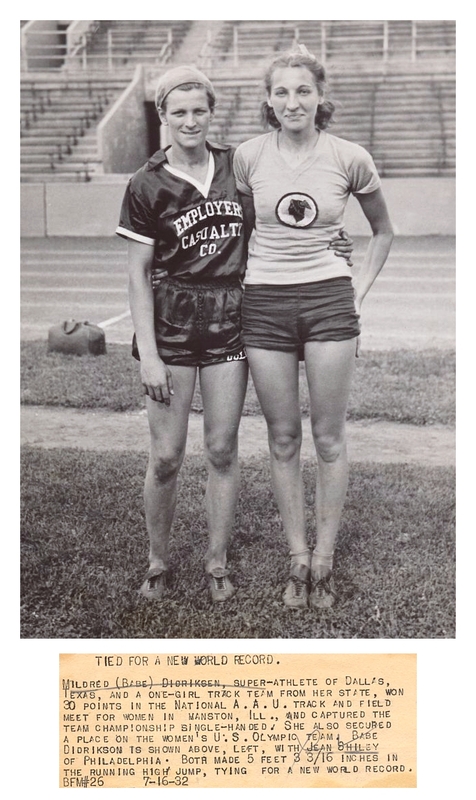 Of course I love the Shamrocks pic and also Cleveland Bulldogs. Also interesting comments about logos on helmets. Was looking up info on the Shamrocks, found a part from a book by Terry Pluto. The Cleveland Rams began in that AFL and were supposed to play the Shamrocks in the title game for 1936 season. The Shamrocks refused to play because they had not been paid in a month. Also the Shamrocks outdrew the Boston Redskins leading them to move to Washington. So do the face masks on their normal helmets. Kenesaw Mountain Landis’s cap of uncertain origin has a logo that is pretty similar to the St. Louis Browns patch featured in the very next bullet point. The hat Landis is wearing might be the 1919 Cardinals home cap. If it helps, the date I have on file for that photo is September 1924…no location or any other details, sorry. If Okkonen is accurate, though, the cap worn in 1919 (and also periodically in 1922 according to him) didn’t have a logo on it, and the Browns (as far as we know) never wore such a cap. Also of note is that the cap appears to have stripes of two different colors, going by the relative darkness of each stripe (Okkonen shows two red stripes for the Cards). One possibility that could be considered, though this is going way out on a limb, is that it could be a hat from the Billikens baseball team. Why Landis would wear a cap from a college team, however, I couldn’t guess. Personally, I don’t want the Phillies to add more blue to their uniforms. I’d like for them to go back to maroon from the 70s and 80s. Besides, we have 3 teams in the NL East that are red, white, and blue. But weren’t the road uni’s from that era powder blue? Several wire service photos crying out to be colorized. Especially the Shamrocks, Cleveland Bulldogs, and the Pee Wee Reese shot. This morning Paul Rogers, the play-by-play guy for the University of Louisville, was on a local radio show (The Early Birds with Jody Demling) and was talking about how the numbers were kind of hard to read on U of L’s black jerseys last night. Not necessarily the color, but the font (said 2’s and 7’s were most difficult to distinguish). One interesting story he shared was that his cousin is Rogers Redding, who is the National Coordinator of Football Officials. He said they recently had dinner together and discussed uniforms. Mr. Redding told him he gets shipments of all the uniforms to check to make sure the numbers are legible. His method for testing is he puts a uniform on his wife and has her go stand out in their yard. If he can read the number from 30-40 yards away it is OK.
Just thought this was worth sharing. There’s something very charming about his method. Too bad it’s in the service of uniforms like those. FYI – The character Jimmy Dugan from “A League of Their Own” was based on Jimmie Foxx. From what I’ve read, it was loosely based not only on Foxx, but also Hack Wilson. I agree a few good colourisation possibles, especially the Shamrocks. I have already on the stocks a part-completed other Shamrocks photo. The Dodgers routed the Reds with 13 runs on 22 hits, all singles?! 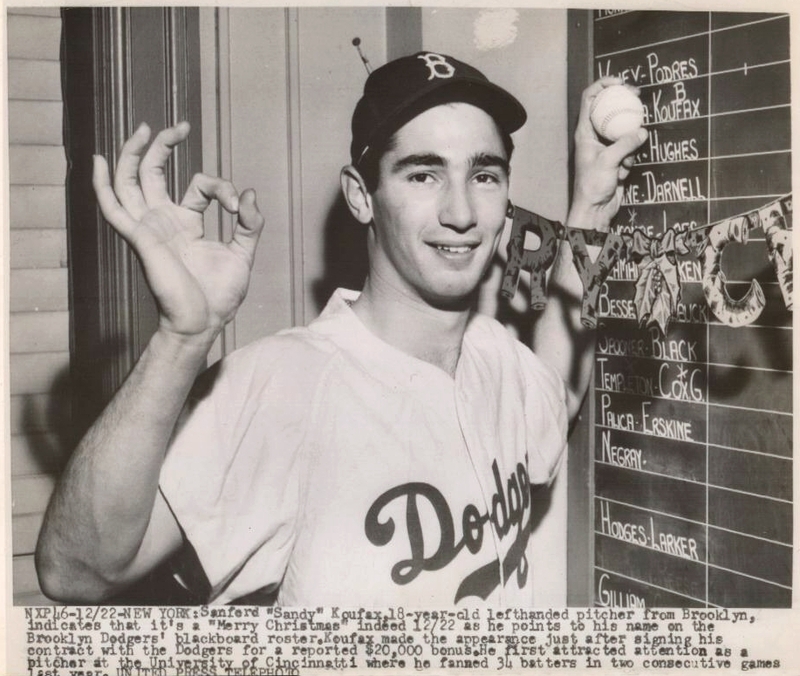 Cincinnati is spelled incorrectly (Cincinnatti)on the Koufax photo. Since I missed yesterday’s entry, welcome back Paul. Sounds like you had a good one. Interested about your considering new ink – I ever show you my 1950s chrome toaster tat? You might know that Pumpsie Green was the first black player to play for the Red Sox. Here he is as a Minneapolis Miller. 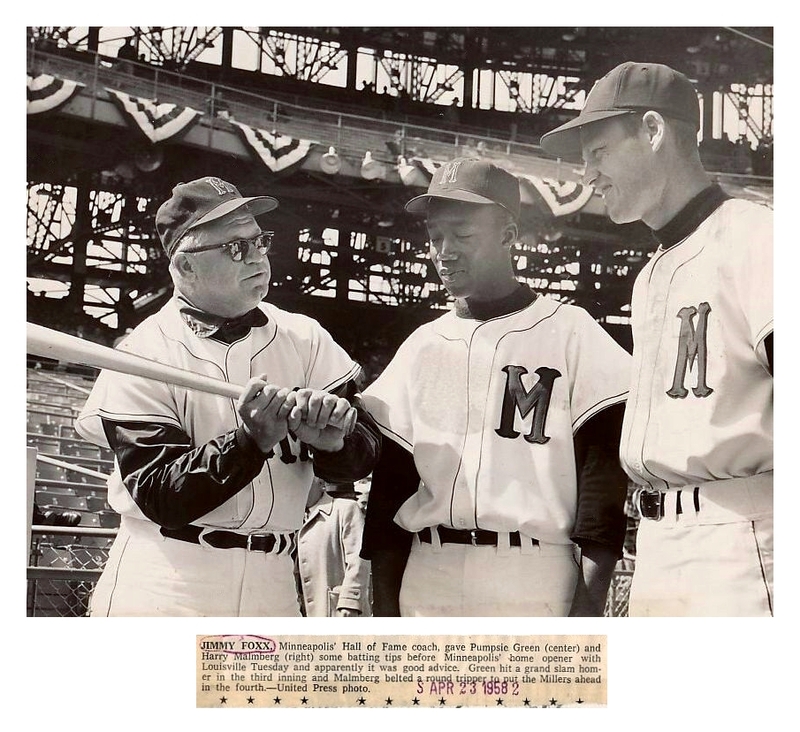 Really struck me that the date on that photo is 1958, eleven years after Jackie Robinson broke the color barrier. More than a decade later, and the Red Sox’s first black player hadn’t even gotten out of the minors. Yeah — Pumpsie Green is the answer to a lot of trivia questions. The Red Sox were the last team to integrate, and it was a full 12+ years (July 21, 1959) after Jackie broke in with the Dodgers. Amazing. Given the Red Sox management at the time it’s no surprise that they were the last team to integrate. The Bruins had a black player (Willie O’Ree) before they did. Thanks to Paul for the Wire Service lede today! Some of those pics have been in the hopper for a while now, from well before the August break. Hope everyone enjoys them. Bruce…I always enjoy the Wire Service photos. Please keep them coming. Got a kick out of the Lefty Gomez photo. He looks thrilled to be a Senator. In the OSU/FSU game the other day, the Big XII logo on OSU was indistinct. For a moment I wondered why they had an anvil on the shoulder. In your opinion, is the Jets helmet logo a text logo in the same vein as the Giants, Packers, and Bears? I’d like to see a throwback game where players use gloves such as the ones in the House of David pic. A web gem from that really WOULD be a web gem. the 2008 cubs uniforms had a darker shade of blue as they switched to a lighter shade prior to this season. highly likely anybody will notice. highly likely? or did you mean unlikely? …and I’m wondering how this pic came about – he’s in full uniform with pants and shoulder pads, so how are there Flyers, Canadiens, and Leafs jerseys hanging on the wall in the background? Under what circumstances would he be in full uni with several other team’s jerseys hangingup? Probably some sort of promotional thing? Maybe they had a bunch of guys in to shoot for trading cards? I dunno. Anyhow, I can’t think of Carol Vadnais without thinking of what was probably the trade of the 1970s – Esposito and Vadnais to the Rangers for Park, Ratelle, and Zanussi. According to Don Cherry, when he had to break the news to them, Vadnais remembered he had a no-trade clause, and they had to call Harry Sinden and have him go through the contract to verify it. They obviously worked it out, since the deal went through. Everyone seems to forget Joe Zanussi in that trade because he spent the bulk of his career in the minors, though he stayed up with Boston through the 1975-76 season. After being relegated back to the AHL the next season, Zanussi was traded to the Blues so the Bruins could re-acquire Rick Smith – who’d been traded to the Golden Seals in 1972 in exchange for Vadnais. Icethetics has reported that the Penguins’ new third jersey is up for pre-order, sight unseen. Apparently the official unveiling is set for September 19th, when they’ll be available at the team store. Pretty bold move, Pens. Just don’t jack it up by screwing up the actual jersey. EFF makes a nice reproduction of the 1936 Shamrocks jersey. If they are accurate, the logo is felt. I believe the reasoning was to avoid the jersey becoming untucked. I am not able to find anything via the google machine. Can anyone offer any insight/help/links? Very common for football jerseys, and not unheard of for basketball. Yes, to keep the jersey tucked in. I was hoping to find some links to pictures to send along to a friend who runs tours of a football stadium to see if their team employs this method and can add to their tour information. Thanks a ton for the quick response. UCLA is going to be wearing throwbacks today. According to the UCLA Bruins Blog, “1967 Heisman Trophy winner (Gary Beban) was at the Morgan Center today (Friday) for a luncheon with former teammates and donors. He spoke with the Bruin football team later in the day and will be the honorary captain for Saturday’s Homecoming contest vs. Washington. Great job as always with the wire service pics, Bruce! Re: the Pee Wee Reese pic, I wonder how the AA did its All Star Game, as there was also a fairly decent shortstop at Kansas City in 1939 – some little Italian guy named Pizzuto…Rizzuti….something like that! Thanks umplou, that was some All Star Game then!